As the second-most populated state in Australia, Queensland offers a variety of gambling opportunities. 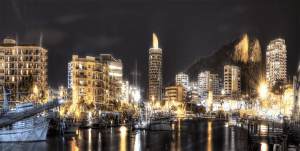 Whether you’re looking for a location in Brisbane, getting a dose of local culture while you play, or if you are after a resort casino experience which will take you to the Gold Coast or the shores of Townsville, Queensland can deliver for you. There’s plenty of gambling options in Queensland, with four land-based casinos available – we detail them all below. Jupiters Gold Coast is the oldest casino in Queensland, having first been opened in 1985. It is operated by Echo Entertainment, similarly to Star Sydney. 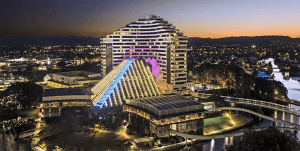 Located on Broadbeach Island adjacent to the Nerang River, Jupiters Gold Coast features a hotel with nearly 594 rooms and while there were once two gaming floors, renovations consolidated the gaming space into one level. This also greatly expanded the amount of room on the casino floor. Now, the casino features over 1300 pokies and gaming machines along with 70 table games, including blackjack, baccarat and roulette along with other table games. There’s also a poker room that opens for cash game play every day at noon. Texas Hold’em is also sometimes offered in a tournament format. For those looking to do more than gamble, the casino is attached to the Oasis Shopping Centre via a monorail. The Jupiters Theatre is a 2000 seat arena offering international travelling musical acts and theatrical shows. There’s also a ballroom, health spa, and conference space available for visitors. The Treasury Casino and Hotel bills itself as ‘Brisbane’s Ultimate Entertainment Destination’, and it’s easy to see why. 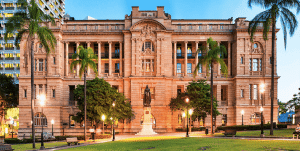 Since the casino opened in 1995 – taking over two of Australia’s most notable heritage buildings, including the Treasury Building the casino is named after – it has offered a wide variety of gambling options. Additionally, it hosts plenty of special events and attractions for its patrons. The Treasury Building now hosts a gaming area offering more than 1300 gaming machines, as well as about 80 gaming tables. At the tables, players can choose from blackjack, baccarat, roulette and Caribbean Stud Poker, along with some more exotic games like Sic Bo. They even offer a game called Treasury 21, which is a variant of Spanish 21 and Pontoon. Poker is also available, with cash games starting each day at 10am, and lots of tournament action to be found, including the popular Treasury Poker Masters. The Treasury also features six restaurants along with a nightclub and several casual bars. While the Treasury Heritage Hotel isn’t large, the 128 rooms available are lavishly furnished, taking up the majority of what was once the Lands Administration Building. At night, the exterior of the casino is lit up with multicoloured lights, creating a breathtaking scene for those walking on the street or driving over Victoria Bridge. The Reef Hotel Casino is located in Cairns, and has been operated by Casinos Australia International and Accor Casino Investments since 1996. Visitors can stay at the famous Pullman Reef Hotel Casino, a five-star facility featuring 128 luxurious rooms. The Reef isn’t as large as some of the other casinos mentioned on this page, hosting just over 500 gaming machines along with several table games options, including blackjack, baccarat, roulette and Pontoon. However, its sports betting options can’t be beat, as the casino hosts a TAB Mega Wall along with the largest indoor video screen in all of Queensland in the Casino Sports Arena. Between gambling sessions, you can take in the great food available at three different restaurants or relax at the four different bars spread throughout the complex. 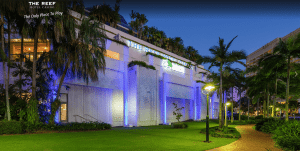 There’s also the Cairns Zoom and Wildlife Dome, a unique attraction allowing visitors to interact with native Australian wildlife without ever leaving the casino complex. Jupiters Townsville is located right on the Townsville breakwater, giving visitors an incredible view of the Coral Sea and Magnetic Island (which can be visited via a convenient ferry near the casino). This beautiful setting is home over 320 gaming machines and more than 20 tables available, offering games like blackjack and roulette. A dedicated Keno and TAB lounge provides plenty of additional betting opportunities, while high rollers can take advantage of the VIP gaming room for a more intimate gambling experience. There’s also three restaurants and five bars, a hotel with nearly 200 rooms, a complete spa and health centre, and plenty of conference space for business travellers. If you want to leave the casino, Jupiters is located within walking distance of the beachfront and the Townsville shopping district, making it a great destination for the whole family.